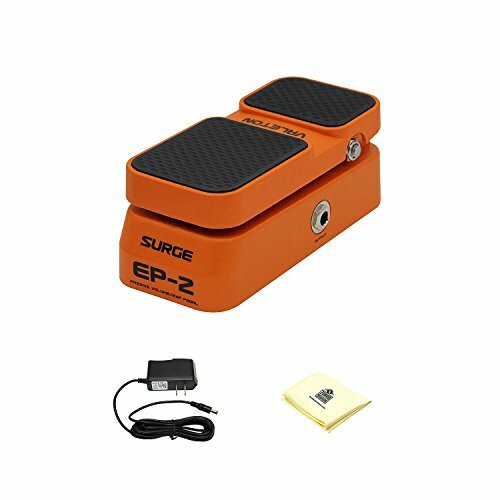 Valeton has been focusing on effects pedals improve from a way early, we glad you reached our EP-2 Passive Volume/ Expression pedals now. Indulge yourself in studio with EP-2 you will really enjoy your music and you will more understand why Valeton has been passion to run this.Made in kirsite lightweight case with 2 function, passive volume and expressor pedal Works without battery or pedal power supply, extensive range with guitar, bass, and other musical instruments Automatically catch output source EXP/Vol objective. Bundle includes ACE PP9V Pig Power 9V AC 1000mA Power Supply Don't let your power adapter hog up more than one space on your power strip! Pig Power is a 9V power supply with 1000 mA with a minimal design that requires just a single outlet. Also included Zorro Sounds Custom Designed Instrument Cloth Keep dirt, grime and fingerprints off your equipment with custom designed polishing cloth. Plush and non-abrasive, this cloth will safely remove any impurity, so your instrument will shine as brightly as your rock star self.